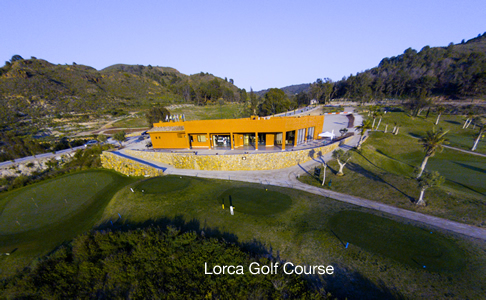 We offer packages in conjunction with Lorca Golf Course at Aguilas de los Collados apartments (Aguilas), Hotel Puerto Juan Monteil 4* (Aguilas) and Parador de Lorca 4* (Lorca). 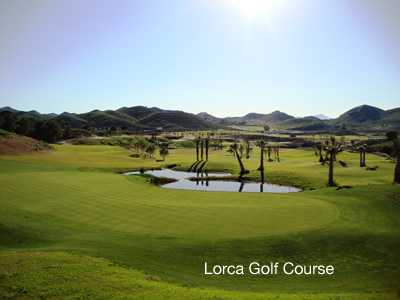 Lorca Golf Course Packages: Accommodation, Amenities and nearby attractions. 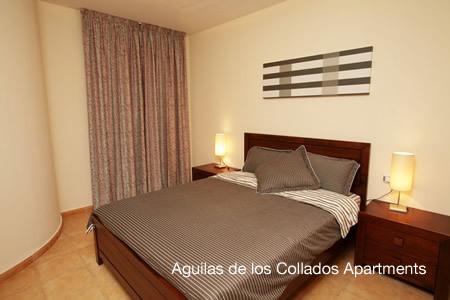 The facility is located in Aguilas city, we offer 87 2-bedroom apartments fully equipped. 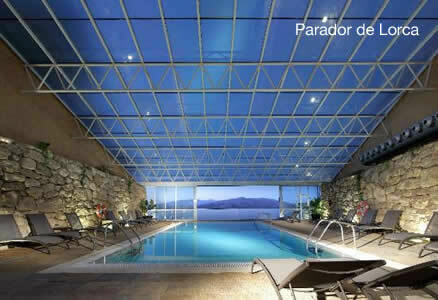 All of them have separate, fully equipped kitchen, living room and terrace. 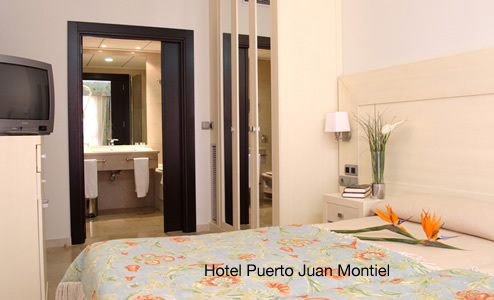 All apartments have air conditioning, heating, optional safe and free WiFi. Restaurant, cafe-bar, snack bar. Reception open: 9:00 to 14:00 and 17:00 to 20:00. After hours arrivals: please inform. 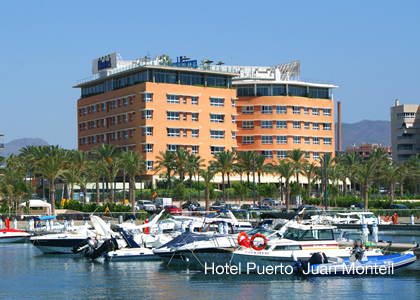 Hotel Puerto Juan Montiel 4*: Hotel Puerto Juan Montiel, Spa and Nautical Base (4*) is situated on the Aguilas seafront in an excellent location on Murcia's Costa Calida, opposite Juan Montiel Marina. 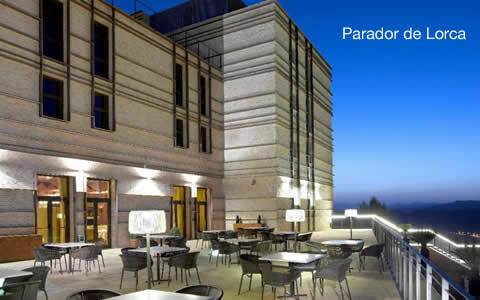 The establishment offers a spa, buffet restaurant, tavern, events rooms that can accommodate up to 400 people, padel tennis courts, mini-golf, diving, and schools for sailing, windsurfing and kayaking. Enjoy relaxation, leisure and fun at the beach. 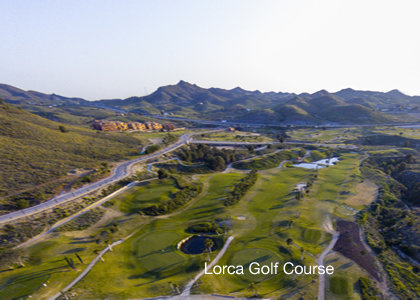 Lorca Golf Course The 18 hole golf course, par 71, designed by Dave Thomas has extensive, undulating greens and strategically placed bunkers which provide entertainment and excitement at every turn, with pleasant surprises awaiting the golfer at every hole. Since the official opening day, this golf course has hosted several tournaments, strengthening its position as one of the favorites for professionals and amateurs alike and has also received wide news coverage by the most important regional and national mass media. 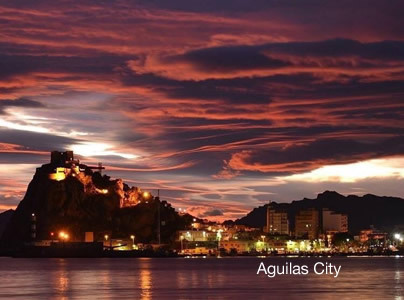 Aguilas city is 10 minutes away from the golf course. 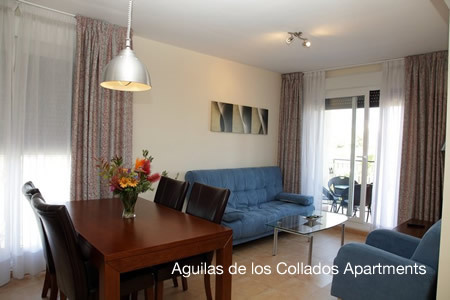 Aguilas has much to offer to both visitors and residential tourists: a fascinating history, beautiful landscapes, the clear water of the Mediterranean, shopping centers, the gastronomic delights of the area and the warm climate to name but a few. 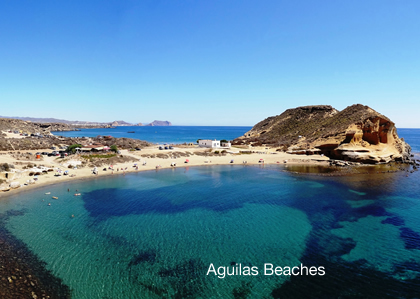 You can find 36 beaches on the 28 kilometres of coastline in Águilas, what else do you need? 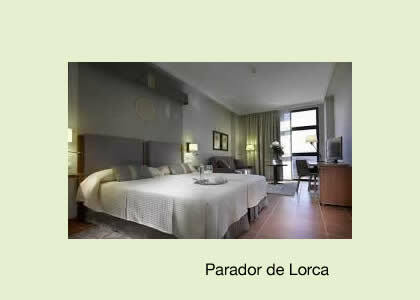 The city of Lorca is embedded in history; it is a modern city with a rich monumental and cultural heritage. 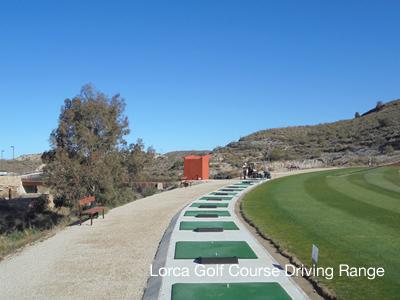 It is a short 10 minutes drive to Lorca which has many restaurants. Culture, nature and hiking, traditional festivals, gastronomy, history, etc. Beaches are 10 minutes away. 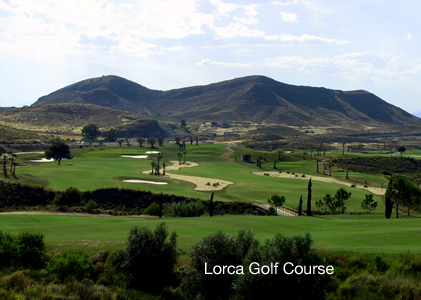 Lorca Golf Course is 66 minutes from Murcia airport and 78 minutes from Almeria airport.